The University of Southampton is launching a new MSc in civil engineering which aims to attract non-engineering graduates into the industry and address the country's current shortage of graduate civil engineers. The UK's civil engineering industry is currently facing a demographic crisis: over the next decade, approximately half the country's practicing chartered civil engineers - a total of 15,000 professionals - will retire. However, during that period, only 6,000 new graduates are expected to join the profession, as the number of graduates entering the profession experiences a prolonged decline. The Southampton MSc in Civil Engineering with industrial placement will provide an entry route into the profession for graduates in non-engineering but numerate disciplines, principally mathematics and physical science. The course has been developed to provide training in keeping with the needs of industry and also offers an opportunity to study to Masters level without incurring additional debt from a further year in education. 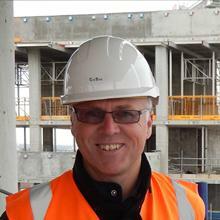 Dr Mike Byfield, of the University's School of Civil Engineering and the Environment, comments: "The 'greying' of the civil engineering population presents a real problem for the UK economy, although it is obviously not possible to make exact predictions of the effect on the skills shortage. However, the situation also presents an ideal climate in which to embark on a career in civil engineering. "The Southampton MSc will not educate students up to the level of a graduate civil engineer in such areas as structural mechanics, geotechnics, hydraulics and design. However, the course will provide a qualitative understanding of the use of materials in construction, the design of steel and concrete structures, and engineering surveying amongst other things. This level of knowledge will enable graduates to operate effectively in the construction industry and carry out roles such as project management." The programme includes two semesters of taught content and project work followed by an 11 month industrial placement accredited by the University as work-based learning. During the placement students will be expected to fulfil the role of a graduate engineer. Rather than being employed by the sponsoring company during their placement, students will be provided with a stipend for the whole 20 month duration of the programme. This will provide a take home salary approximately equal to other graduates. Dr Byfield continues: "We believe that the structure of the MSc programme offers a sufficiently attractive package to attract high calibre students as well as successful sponsoring companies. As the students do not need to return to university study at the end of their placements, they are in a good position to continue work with their sponsor once the formal placement is complete. The advantage to the sponsoring company is that they can recruit sought-after civil engineers at a lower cost than the normal route." The first intake of students will begin the MSc in October 2005. At present, sponsoring companies include Bovis Lend Lease Ltd, Halcrow Group Limited and Gifford Consulting Engineers. The School of Civil Engineering and the Environment at the University of Southampton was established in 1948 and is internationally known for its teaching and research in civil and environmental engineering and applied environmental science. At undergraduate level, we offer BEng, MEng, BSc and MSc programmes in Civil Engineering, Environmental Engineering, Civil Engineering with Architecture and Environmental Sciences. Postgraduate education and research are focused on key problems facing society today including transport, infrastructure, sustainable urban environments, water, waste and resource management, coastal and marine engineering, renewable energy, the effects of sea level rise and climate change, and the protection of the environment. The School is regularly placed within the top ten English universities for both civil engineering and environmental sciences teaching in newspaper league tables; in the Guardian's table for teaching, it was first in the UK for civil engineering in 2003 and third in 2005. We have a high ratio of postgraduate to undergraduate students, a high level of research grant and contract income, and excellent collaborative links with industry and government. In Civil Engineering the School was awarded the highest grade (5*) in the 2001 Research Assessment Exercise, and was selected for a Panel Visit during the November 2004 EPSRC/Royal Academy of Engineering International Review of Engineering Research in the UK.